Of 2,201 people polled between Jan. 4 and 5, 26 percent picked Apple, research firm Morning Consult said this week. The next closest company was Samsung with 14 percent. Google, Microsoft, and Amazon rounded out the top five, despite products like the Amazon Echo and Microsoft's HoloLens. One business in the survey, Honeywell, failed to win any votes. Morning Consult indicated a 2-point margin of error. 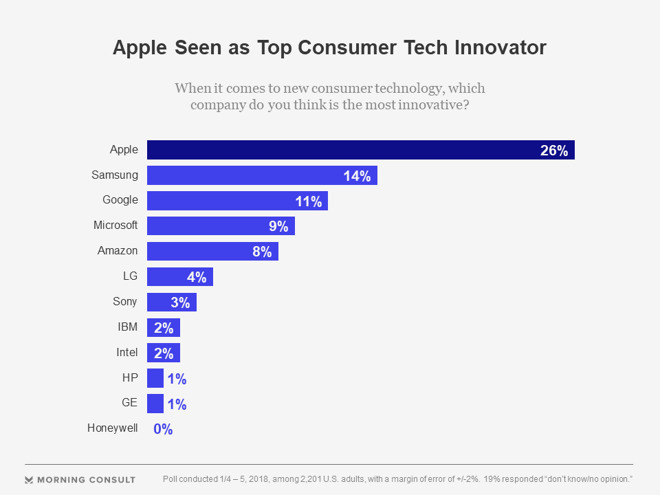 Apple is sometimes criticized for being less innovative under CEO Tim Cook than it was under Steve Jobs, but is also regularly credited with being on the cutting edge with devices like the Apple Watch and technologies like the iPhone X's Face ID. 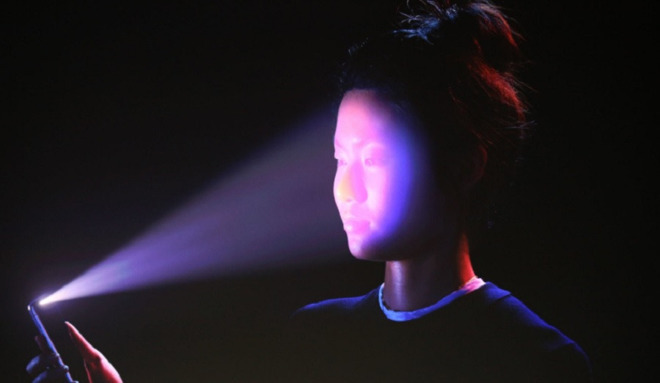 While smartwatches and facial recognition are nothing new, Apple's size, money, and talent has let it break through barriers that have hindered rivals. Some of the company's next frontiers include augmented and virtual reality, as well as a self-driving car platform. The latter will likely be adopted by ridehailing services, rather than used on any Apple-designed vehicle.